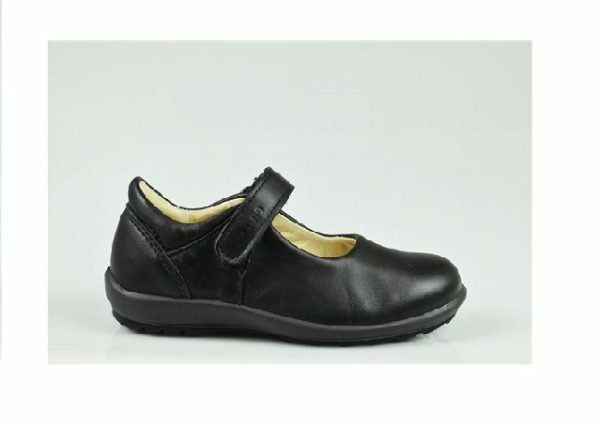 A very flexible and lightweight black school shoe. May-jane open shoe with single strap with no detail. 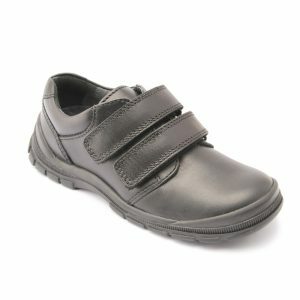 A very lightweight school shoes made from soft leather inside and out. 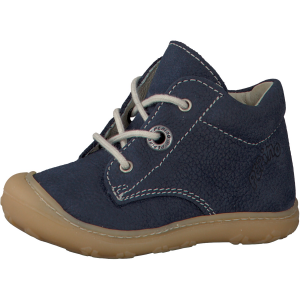 The heel support on these is high and padded making them extra comfortable. 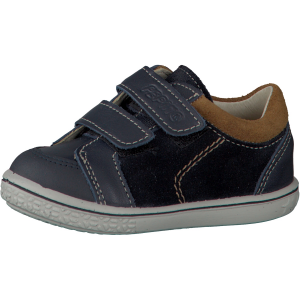 A single Velcro strap and a good tread on the sole.